← My darling mom needs a holiday by the sea. This Week’s Photo Challenge, is ‘Inside’. Many of my pics have been taken inside, so I picked out just a few. Here is the inside of an oven in the extensive Edwardian kitchens of Lanhydrock House in Cornwall. Just imagine having to do all your baking in this. 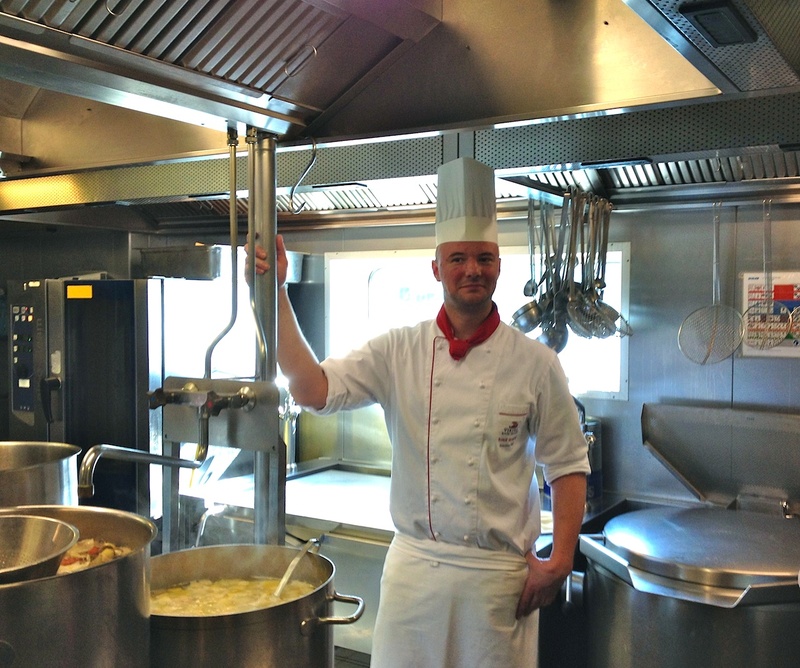 I was fascinated to see the inside of a very different kitchen on board our cruise ship on the Rhine. It’s really not that big, especially when you consider how many people they have to feed every day. 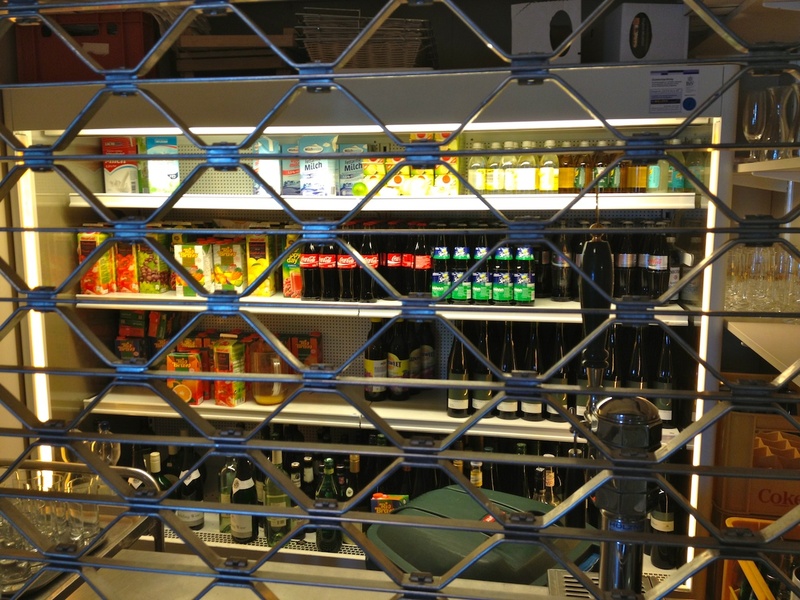 Here’s the lock-up drinks store on board. I wonder who was entrusted with the key? 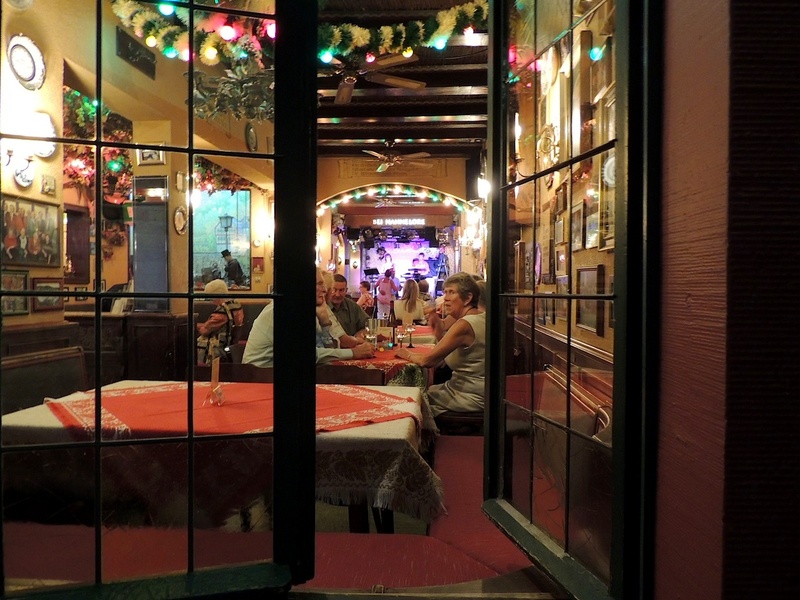 I took a peek into a restaurant in Rüdesheim, as I’d heard wonderful music, and was curious to see if it was a live band. These fancy ladies were there to greet us on the staircase of a boutique in Costa Rica. Last but not least are my two smallest grandchildren, having bubbly fun inside their bath tub. I hope you’ve enjoyed my ‘inside’ pics. To take part in the challenge, just click on the badge below. It’s always a joy to see what’s inside your world. As for baking, my wife would love a kitchen like that. Fun post. A cruise chip’s galley has always been a mystery to me. How the chef and staff can prepare so many meals 3 times daily is beyond me — and there’s no last minute run to the corner store for sugar. This was a great series of shots to answer the challenge. You do post like this so well so well. Very candid too. One day I will do a post like this, one day. That is a big pot of soup. I would not want to wash that. Love the last photo. Your grandchildren are adorable! Love your pictures and captions! Your grandchildren are so cute! love these! especially the oven shots and the kidlets in the bathtub. priceless! how did you get that badge in your post? I need to figure that out. 😀 Have a lovely day. My mind also doesn’t work properly when I’m tired. Thanks for the cruise, ad. Grandchildren? Fabulous! That bread looks gorgeous, but the bathtub with grandchildren is even better! Great collection ~ bet that bread tasted GRAND. And the bathtub shot is terrific. Inside the bath-tub, what a great choice! I always used to love bath-time when my four were small, it was such a fun, but also calming time when they were playing in the water. My mother still had a tin bath that I assume we used as children, but when I was 2 yrs old we moved into a house with an inside bathroom – that must have been luxury! How times have changed, now everyone wants a bathroom per bedroom! I used to love bath time when mine were small 🙂 Come to think of it, I still love bath time now, when it’s me wallowing! The photo of your grand kids in the tub remind me of when my own girls used to play for hours in their bubble bath. Good memories. Mmm that bread in the first pix looks yummy. hahaha …. it looks so real. Now, that is a good artist. 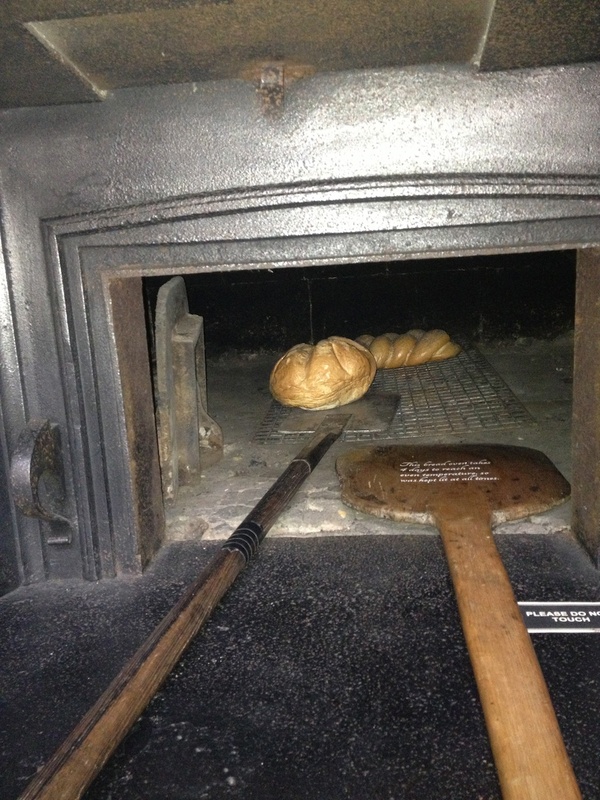 I can just smell and taste the bread out of that oven! For some reason I haven’t been able to “like” your posts for a while. It doesn’t download for me. I bet that top oven puts great crusts on the bread. I agree with thirdeyemom the grandkids photo is my top pick. You must enjoy them a great deal. Wonderful gallery of inside for the challenge. I especially like the oven shot. Thanks for visiting my blog and liking it and your good words too. I love the first oven, but I imagine your arms would be very strong after taking loaf after loaf out of it. We did a river cruise in Germany and stopped in Rudesheim too. Isn’t it a pretty place. Did you go on the cable car up the hill? Yes it is a very pretty place, but we only stopped over for the evening, so didn’t get a chance to do the cable car. If ever you go back, you must do it. The view along the river was spectacular.